...a Severe Thunderstorm Warning Remains In Effect Until 730 Pm Cdt For Northwestern Nueces And Northeastern Jim Wells Counties... At 716 Pm Cdt, A Severe Thunderstorm Was Located Over Bluntzer, Or 9 Miles Northwest Of Robstown, Moving East At 35 Mph. Hazard...60 Mph Wind Gusts And Penny Size Hail. Source...radar Indicated. ...Read More. ...a Severe Thunderstorm Warning Remains In Effect Until 745 Pm Cdt For Northwestern Calhoun...southern Victoria...southeastern Goliad And Northeastern Refugio Counties... At 713 Pm Cdt, A Severe Thunderstorm Was Located 12 Miles South Of Fannin, Or 13 Miles Southeast Of Goliad, Moving East At 30 Mph. Hazard...60 Mph Wind Gusts And Penny Size Hail. ...Read More. ...a Severe Thunderstorm Warning Remains In Effect Until 730 Pm Cdt For Northeastern Grimes...southeastern Madison And West Central Walker Counties... At 704 Pm Cdt, A Severe Thunderstorm Was Located Over Bedias, Or 12 Miles South Of Madisonville, Moving Northeast At 35 Mph. Hazard...60 Mph Wind Gusts And Quarter Size Hail. ...Read More. The National Weather Service In Corpus Christi Has Issued A * Flash Flood Warning For... Central Bee County In South Central Texas... * Until 815 Pm Cdt. * At 642 Pm Cdt, Trained Weather Spotters Reported Thunderstorms Producing Heavy Rain Across The Warned Area. Flash Flooding Is ...Read More. Home News Local News As One Door Closes, Will Another Open? As One Door Closes, Will Another Open? HOUSTON COUNTY – The Houston County Hospital District has announced the closure of Timberlands Healthcare, effective at 12 p.m. on Friday, June 30. The official announcement was e-mailed to members of the media at approximately 12:30 p.m. on Friday. 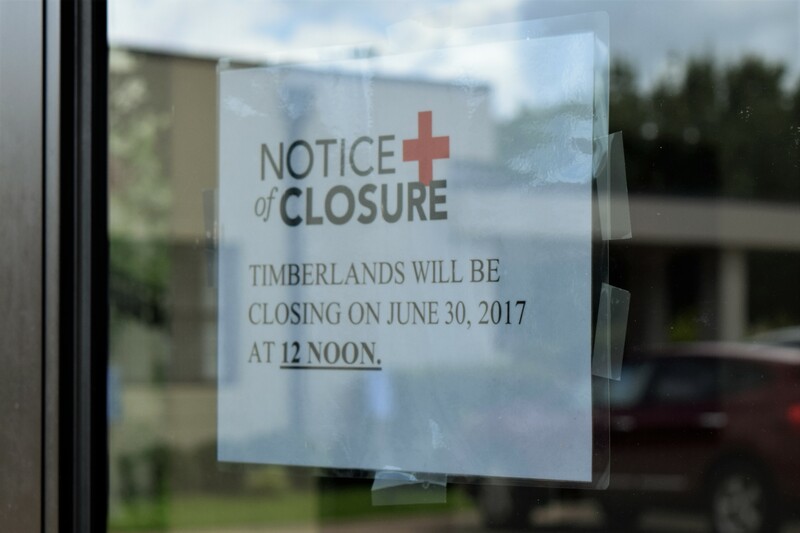 The first notice of the closure became public knowledge on Thursday, June 22 when Little River Healthcare, the managing healthcare organization for the Crockett hospital, informed the employees of Timberlands Healthcare it would be ending its affiliation with the Crockett hospital.